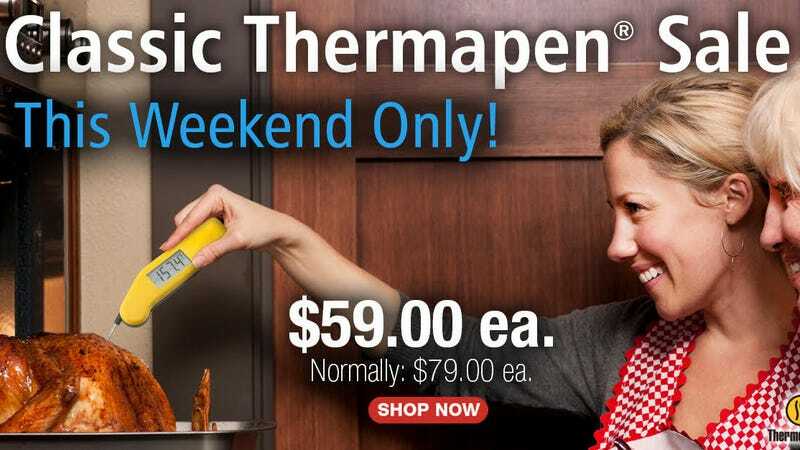 When it comes to measuring food temperature, ThermoWorks, and specifically its Thermapen, has the market pegged. The Classic model has a rare discount down to $59 right now, the best price we’ve ever seen, so grab one for yourself, and a few more as holiday gifts. There is a newer model of this available, which includes a rotating, backlit display, longer battery life, and better water resistance, but the actual nuts-and-bolts temperature measurement is exactly the same. Just note that the deal is only available on the red, yellow, and green models.